As the year comes to a close, many people look forward to what 2014 has to offer. But some people seem to forget what 2013 had to give. It’s been great for some, but horrendous for others. 2013 has definitely been an interesting year. Barack Obama is inaugurated for his second term in Washington D.C. ; RHS girls and boys basketball teams pile up victories. A meteorite crashes in Russia. A massive blizzard known as the Blizzard of 2013 or NEMO hit the area February 9–11. It brought more than 2.5 feet of snow to some areas. Thousands of people were without power for up to a week. Pope Benedict XVI resigns as leader of the Roman Catholic church, the first pope to do so since 1415. Several RHS students attend The Polar Plunge at Nantasket Beach. Pope Francis is elected new pope, the first from South America. 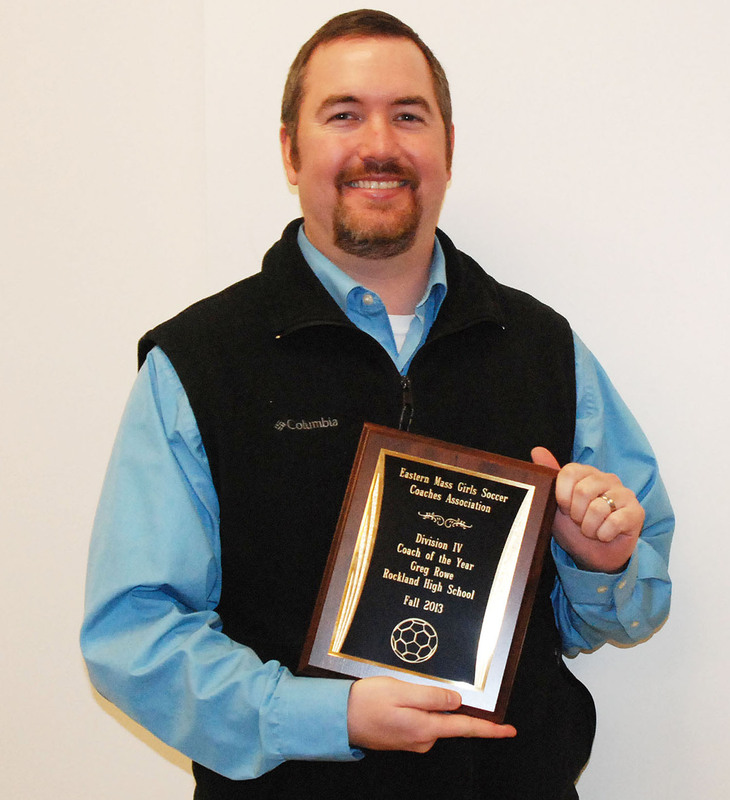 RHS Student Government Council wins Gold Council Award for the second straight year. 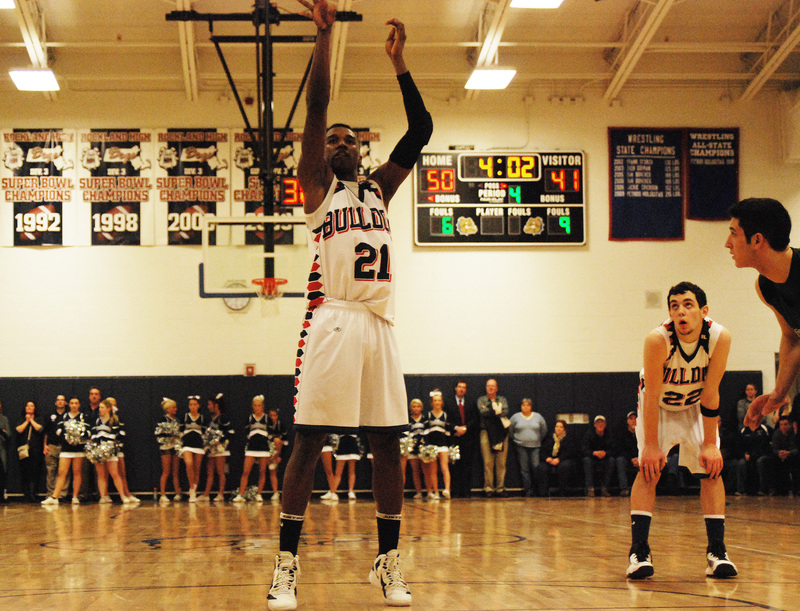 RHS boys basketball team makes it to South Sectional Finals; RHS cheerleaders win States. Tyler goes to the foul line while Matt Nicholson watches. Senior Tyler Gibson named Gatorade Massachusetts Basketball Player of the Year. On April 15, during the Boston Marathon, two bombs explode, leaving three people dead and injuring more than 170 other people. 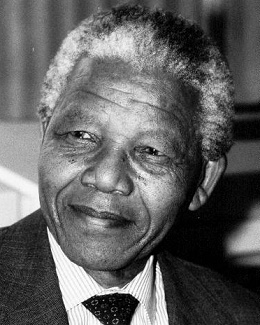 Margaret Thatcher, Britain’s former prime minister, dies on April 8 at the age of 87. A group of RHS students travel to Spain and Morocco for a week. Bill Gates becomes the world’s richest man at $72.7 billion. The RHS Veritas wins all New England award from the New England Scholastic Association. Rockland High School is fully accredited by the New England Association of Schools and Colleges (NEASC). The Class of 2013 graduates from Rockland High School. 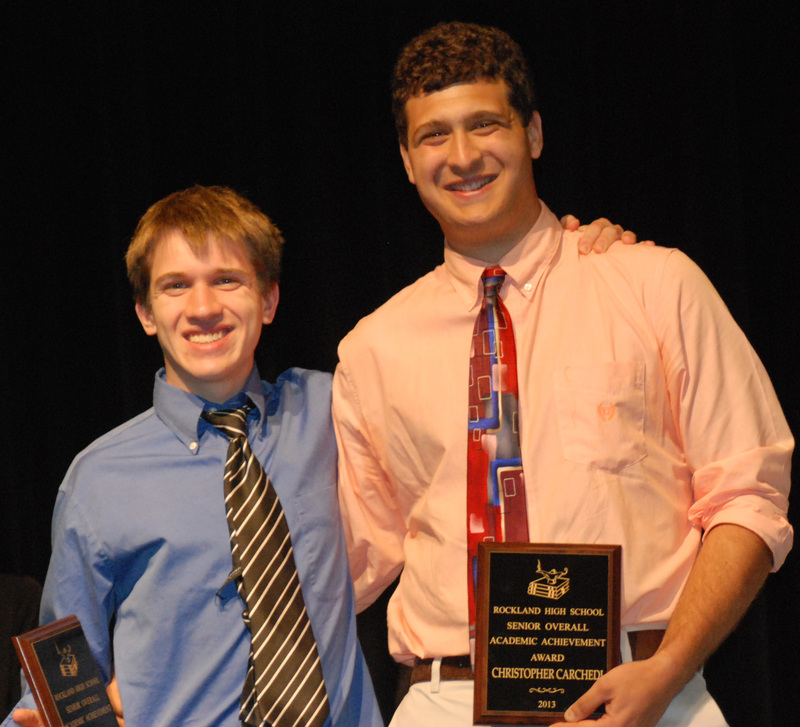 Joe Palana and Chris Carchedi are co-valedictorians. The renovated RHS officially opens. RHS Principal Cron becomes Dr. Cron. Glee actor Cory Monteith dies on July 13 at the age of 31. The royal baby, Prince George Alexander Louis of Cambridge, is born on July 22. Celtics stars Paul Pierce and Kevin Garnett traded to the Brooklyn Nets. World on edge as the U.S decides whether or not to attack Syria due to the Syrian government’s reported chemical attack on its own people. James ‘Whitey’ Bulger is convicted for murder and other crimes. 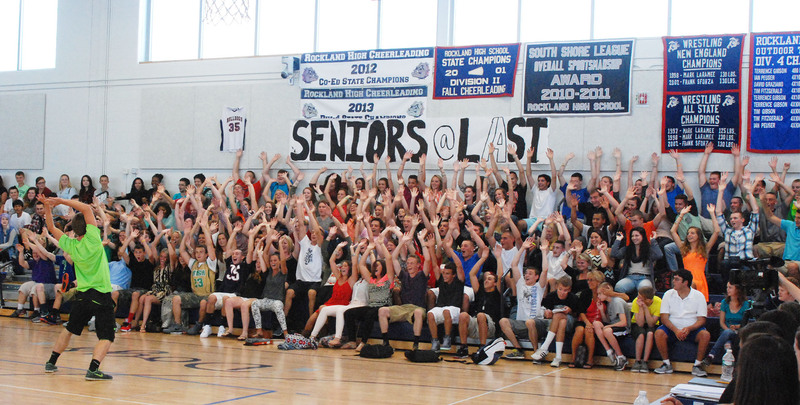 Seniors lead the cheers at first rally of the year. RHS is back for the 2013-2014 school year. The iPhone 5 is available to the United States. New teachers Ms. Coulombe, Ms. White, Ms. Rizzotti, Ms. Lanigan and Ms. DiCanzio are welcomed to RHS. Grand Theft Auto 5 released in North America on September 17th. The Boston Red Sox win the World Series beating the St. Louis Cardinals. The U.S government shuts down from October 1st to October 16th. This includes many national parks and landmarks such as The Statue Of Liberty in New York. 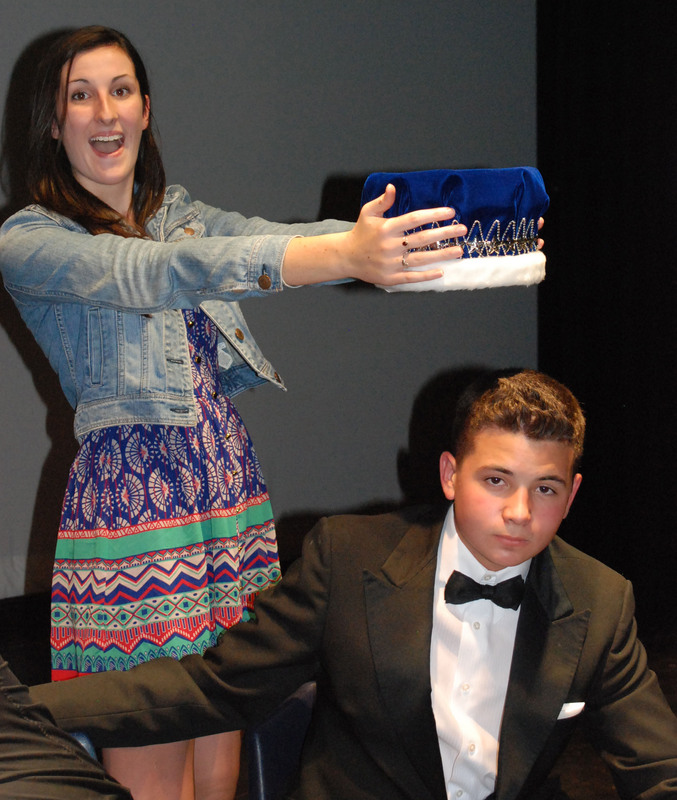 Derek Crowe is crowned Mr. Rockland. Molly Garrity is crowned Miss Rockland. Typhoons devastate the Philippines, damaging and destroying homes. Paul Walker, star from “Fast and Furious,” dies in a car crash on the 30th. 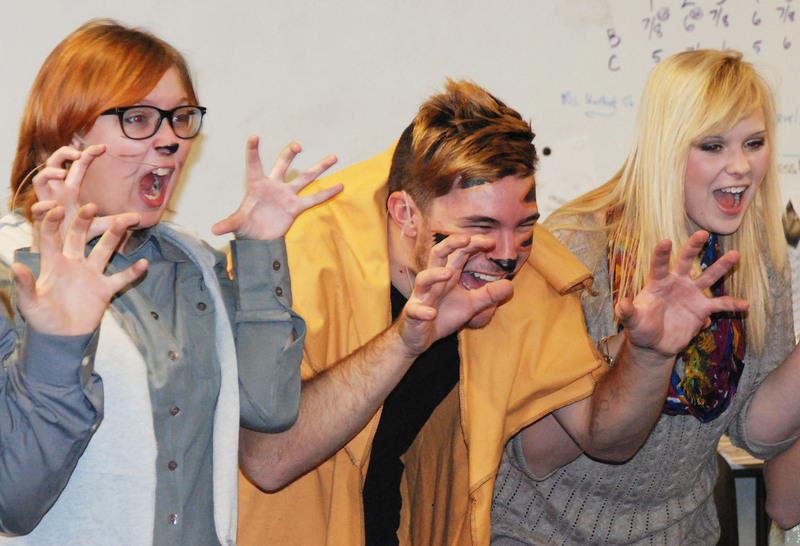 The Jungle Book is performed at RHS Nov. 15 and 16. Juniors defeat seniors in Powderpuff victory on Nov. 25. Catching Fire, the second movie in the Hunger Games trilogy, is released on November 22. Playstation 4 and the Xbox One are released in North America. The Shakespeare Festival is held on Dec. 6 and 7, now being performed every two years instead of four. The following stories can now be found both in our last print edition (December 19th) and on our website pages. 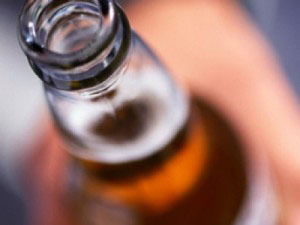 Click the following links to get to the full stories. Seniors Chris Catania and Jace Williams lead the ritual prayer and warm up done before every performance, along with Meghan Foster. 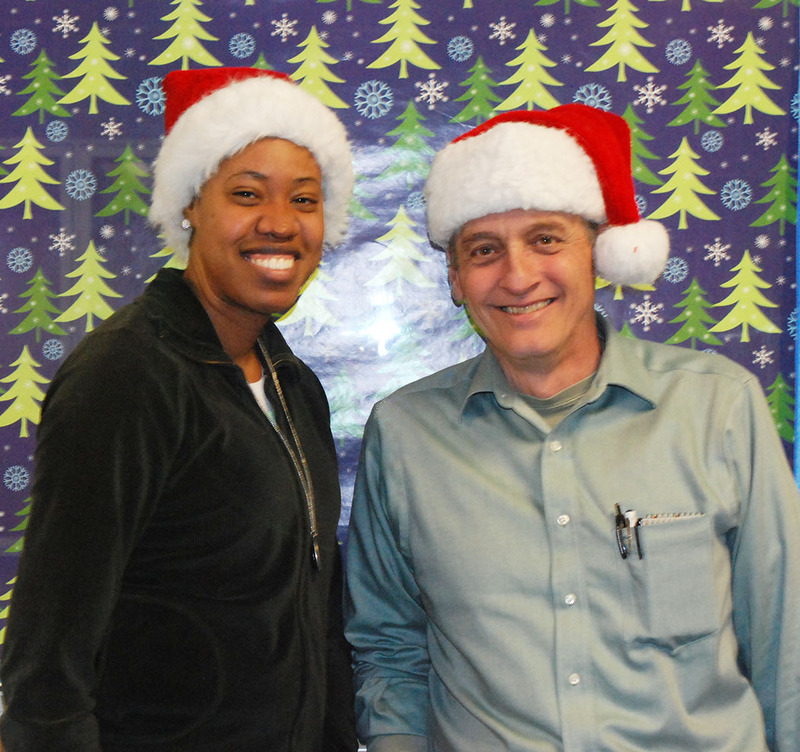 Ms. Patrice Rose and Mr. David Murphy. 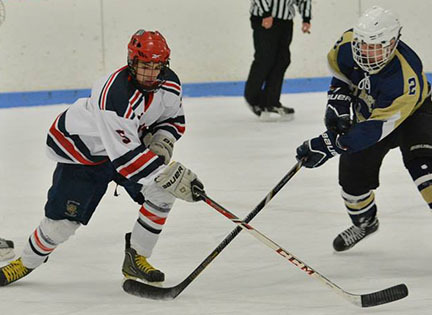 Hockey team starts season with two wins! 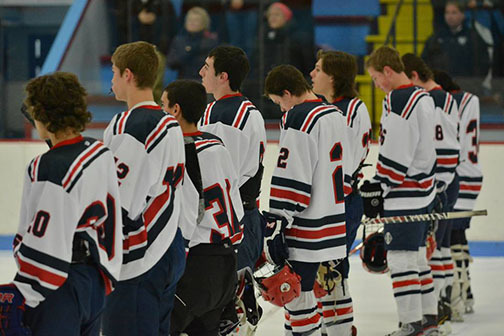 The RHS hockey team played their first two games of the season; December 14th and 18th. In the first game Rockland defeated South Shore Votech. In the second game, the team continued their high scoring. Senior Shawn Kane, captain Tim Daggett, freshman Derrick Trudeau, and Matt Ryan scored the goals of the game. Kane had his first hat-trick of the season. Trevor Trudeau was solid in net for the second straight game. 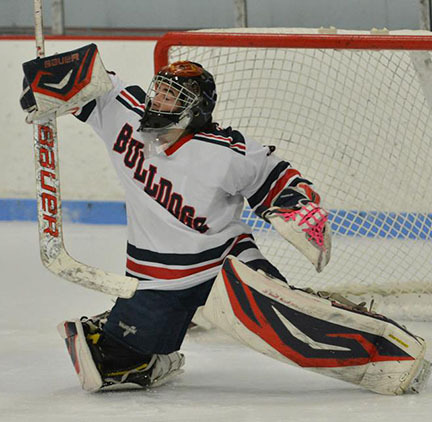 Saturday December 21, Rockland will be facing Cohasset in their first away game at the Weymouth rink. Go support the hockey team! Team line-up before the EB game. 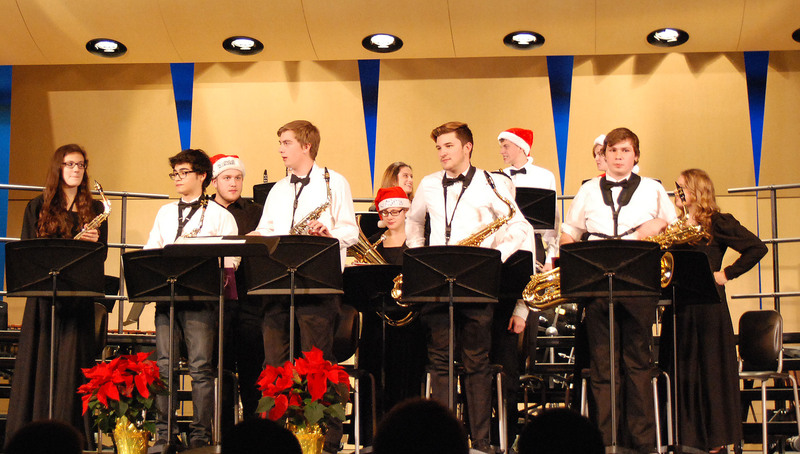 On Wednesday, December 18, Rockland High School’s band and chorus came together to perform a concert to celebrate the coming holidays. 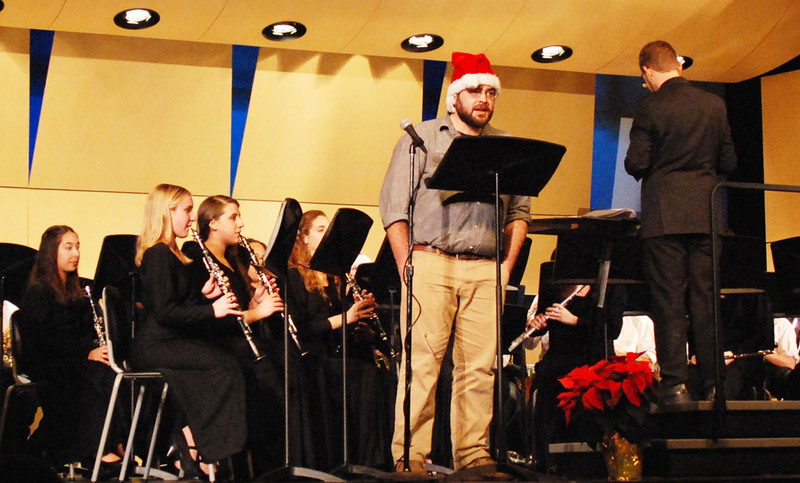 It was a fun, cheerful concert that brought all sorts of people together to celebrate holiday joy and togetherness. Kudos to Mr. Harden, Band Director, and Ms. Hartnett, Chorus Director, and to all the students in the RHS band and chorus groups. The band plans on bringing two of the songs they performed, Themes from “Green Bushes” and “On a Hymnsong of Philip Bliss” to the South Shore Band Exchange Concert in Pembroke. Be sure to wish the band luck! 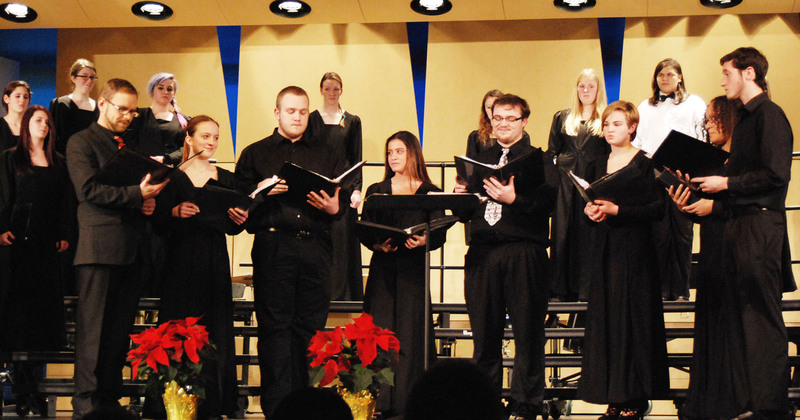 1) The Band and Chorus will be presenting their annual Holiday Concert in the auditorium at 7 pm. It will be a great way to enjoy wonderful music performed by the band and choral groups at RHS. 2) The wrestling team will open their season against Norwell at 7 pm in the high school gym. The Dogs look to go undefeated against Norwell and thus set the bar high for the season. 3) The hockey team will play at the Rockland rink at 7:55 against East Bridgewater following up on their decisive victory over South Shore Vo Tech on Satruday night! Take our poll and tell us which event you will choose! 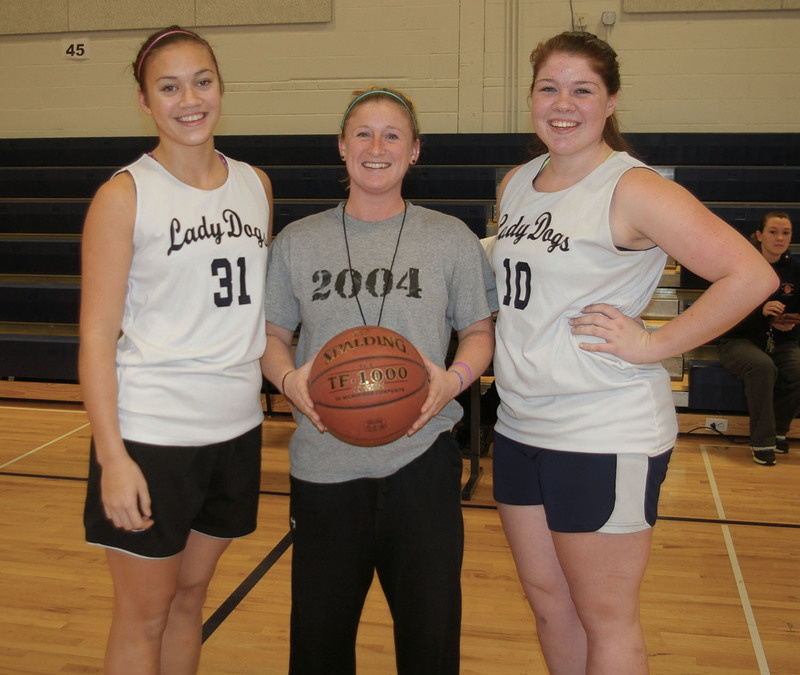 The girls’ basketball teams opened up their seasons Friday night, Dec. 13 vs. Hanover. The girls played well against a strong and experienced Hanover team but came up with a loss 56-42. The girls’ next games will be this week on Tuesday at Monomoy and Friday at home against Hull. They expect to pick up where they left off last season when they went on a winning streak that led to a spot in the state tournament. The girls are led by senior returning starters, Ally Cerrato and sophomore Kyra Rose. Rounding out the starting line-up are Kallie Morss, Kiera Tobin-Rosman and Lauren Farrell. 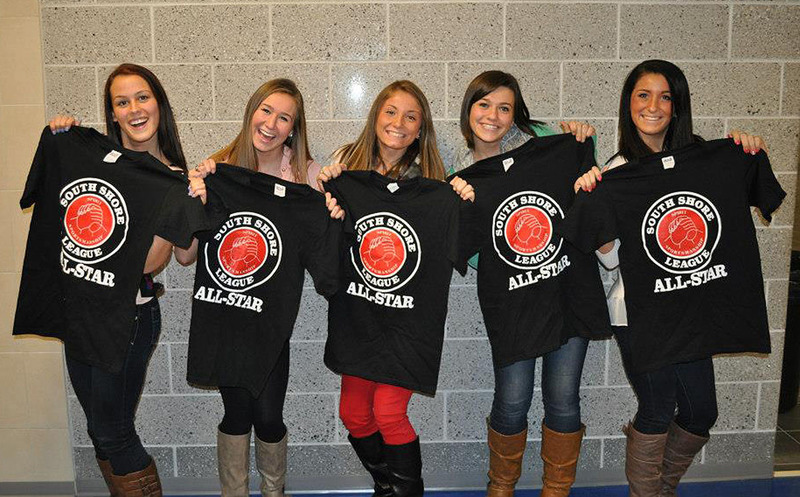 Learn more about the girls’ team in the next print issue of the Veritas due out on Dec. 18. Kyra Rose, Ally Cerrato and Coach Mitchell are looking forward to playing rival Hanover High School tonight! 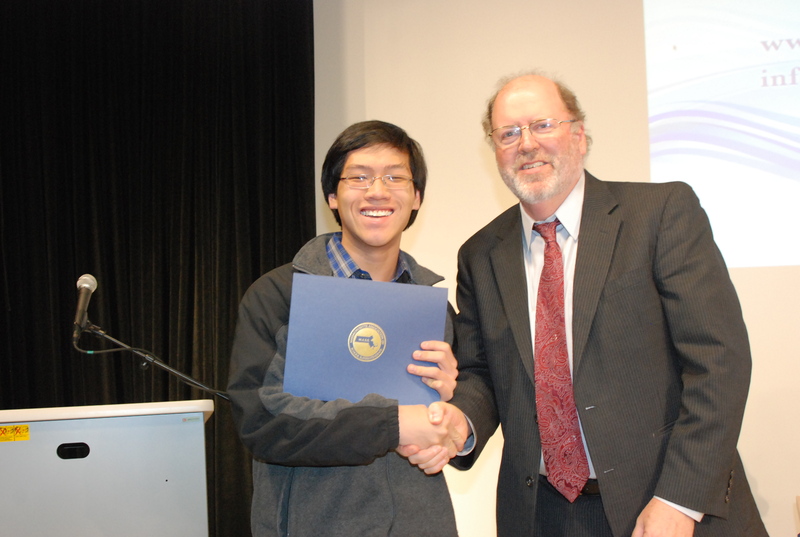 On the evening of December 9, RHS senior, Jon Soo Hoo was welcomed to the Rockland School Committee meeting held in the WRPS studio to receive an award from Superintendent John Retchless. He was honored for his achievements and activities by receiving the MA Association of School Superintendents’ Academic Excellence Award. Soo Hoo has been an overachiever for his four years at Rockland High School, staying first in the Class of 2014 every year. He holds a 4.7 GPA and participates in many extra activities including the math team and National Honor Society. He is also a recipient of the John and Abigail Adams Scholarship and will certainly receive more awards as his senior year continues. When Jon graduates, he said that he would like to pursue a degree in neuroscience. He also would like to stay relatively close to home. Jon’s proud parents, Jenny and Toby were also at the school committee meeting. 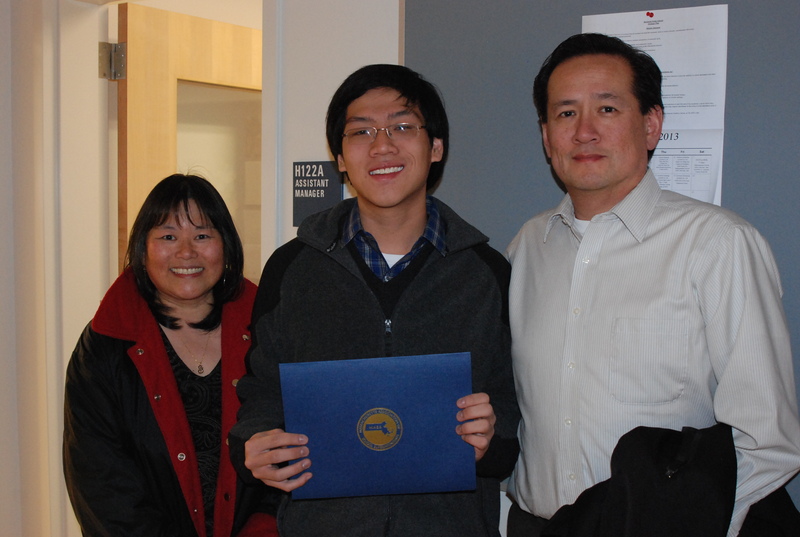 Jon Soo Hoo with his parents, Jenny and Toby, at the school committee meeting.